I am pursuing my Master's Degree in Robotics and Automation from The University of Siena, I have plenty of experience in RPA UiPath to write scripts for doing recursive tasks...Read moreI am pursuing my Master's Degree in Robotics and Automation from The University of Siena, I have plenty of experience in RPA UiPath to write scripts for doing recursive tasks like web scraping, e maiel automation etc. I have adequate skills in Search Engine Optimization and Lead genration for targeted audience. Strong ability to analyze and organize large data sets using Matlab. 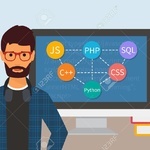 In-depth knowledge and use of Python, Matlab, SQL Server and Lex/Yacc. Extreme attention to detail and ability to multitask within fast-paced environments. I need to get this basic system created for a hotel. I recommend. He did the task which I set him. PYTHON or C# : credit score, credit limit, fraud detection and some other analytics. A very service minded guy who knows what to do. He did credit scores for us. He could drive his work a bit more and be more pro-active which would finalise the work faster. Fantastic job - very happy with the work.